I made this birthday card for three challenges. 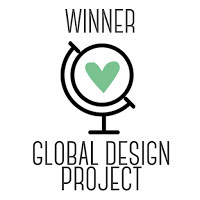 First, I used the sketch from the Clean and Simple FTL#280 here. 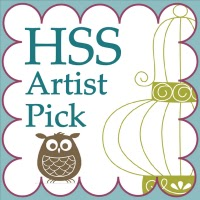 Second, I used the Splitcoast Color Combination#467 here. And the colors to use are Midnight Muse, Bermuda Bay and Soft Sky. And finally, this qualifies for the SUO Challenge#91 here, banners. I used the SAB stamp set Banner Blast with the coordinating Banner punch and the Embellished Events stamp set too. Today is Jack's birthday and here's his card thanks to the Create with Connie and Mary #291 here. 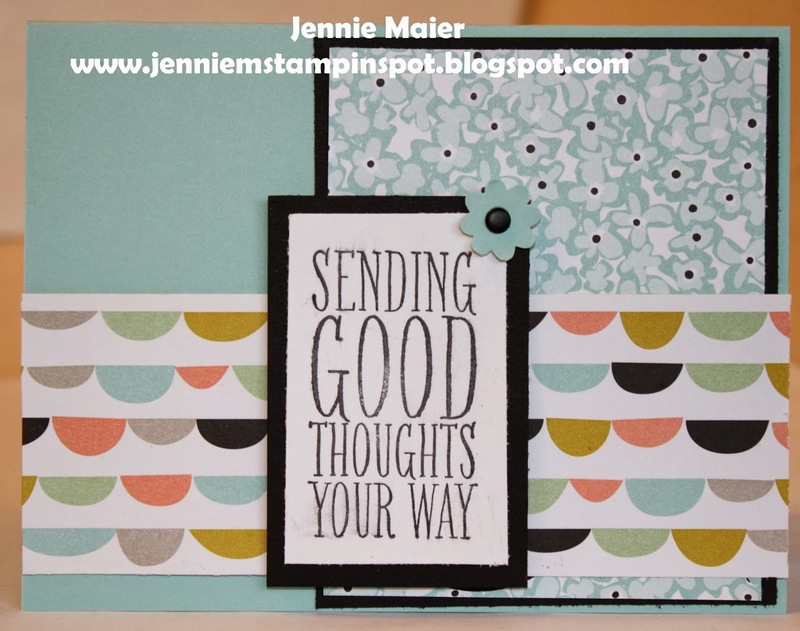 I used the Delightful Dozen and A Fitting Occasion stamp sets with some Fresh Prints DSP. It's my nephew's, Jack and Brady's birthdays this weekend so I need to make their birthday cards. They're bright, happy, funny, loving 11 and 9 year olds and it should be fun celebrating with them! This card uses the PPA#192 here. 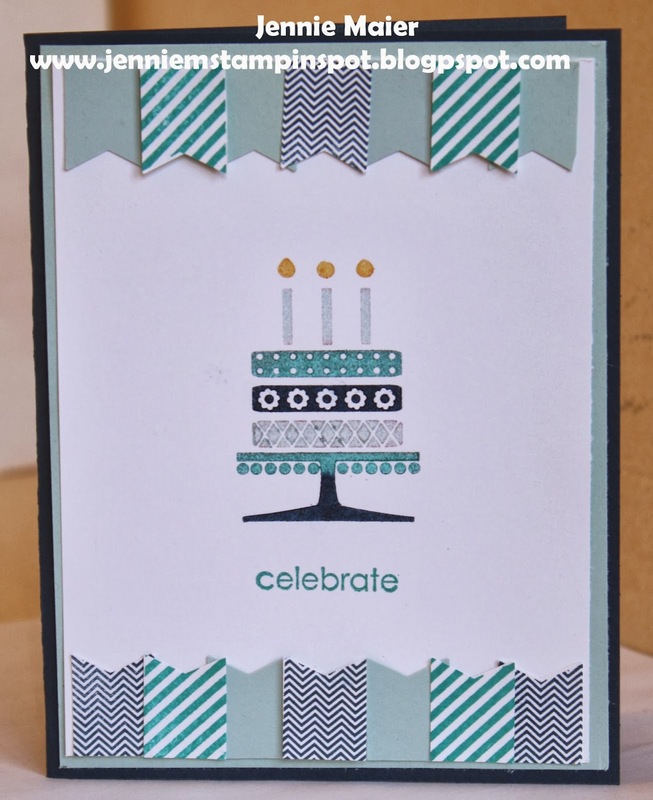 Really quick and simple with the Bring on the Cake stamp set and some Fresh Prints DSP. This birthday card uses two challenges. 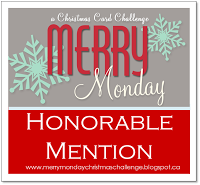 First, I used the MojoMonday Sketch#332 here, and second, the Create with Connie & Mary Challenge#290 here. This one was to use the colors Island Indigo, Daffodil Delight and Smoky Slate. 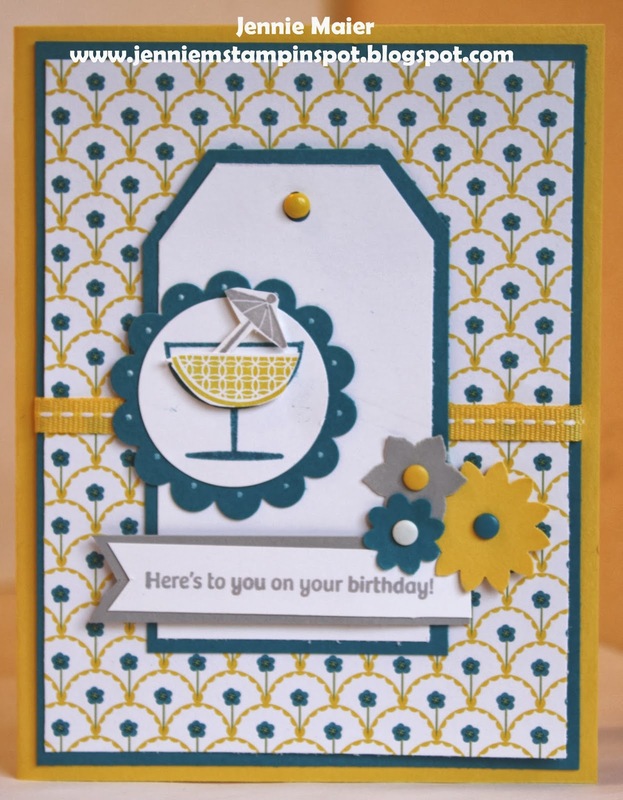 I used the Happy Hour stamp set and some Gingham Garden DSP. This is my hubby's Valentine's Day card thanks to the Freshly Made Sketch#123 here. 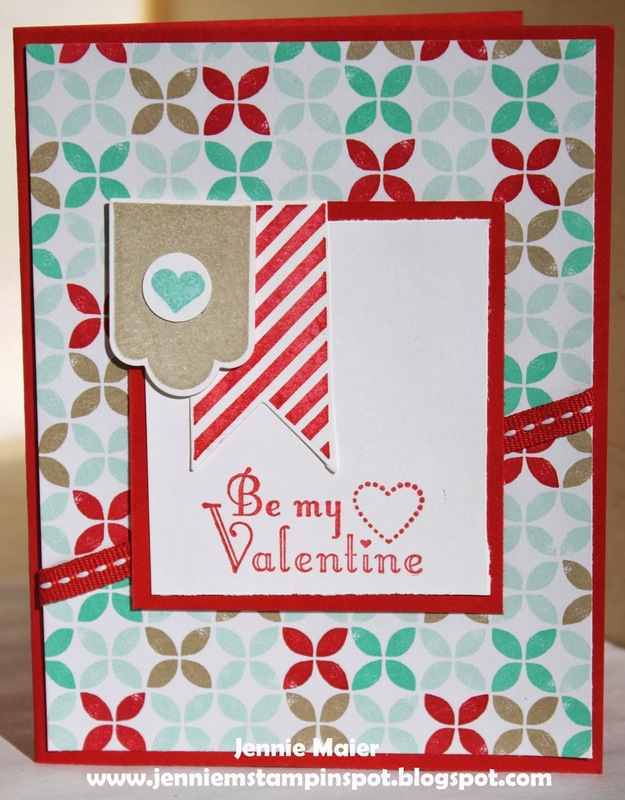 I used the Perfect Pennants and Hearts a Flutter stamp sets. 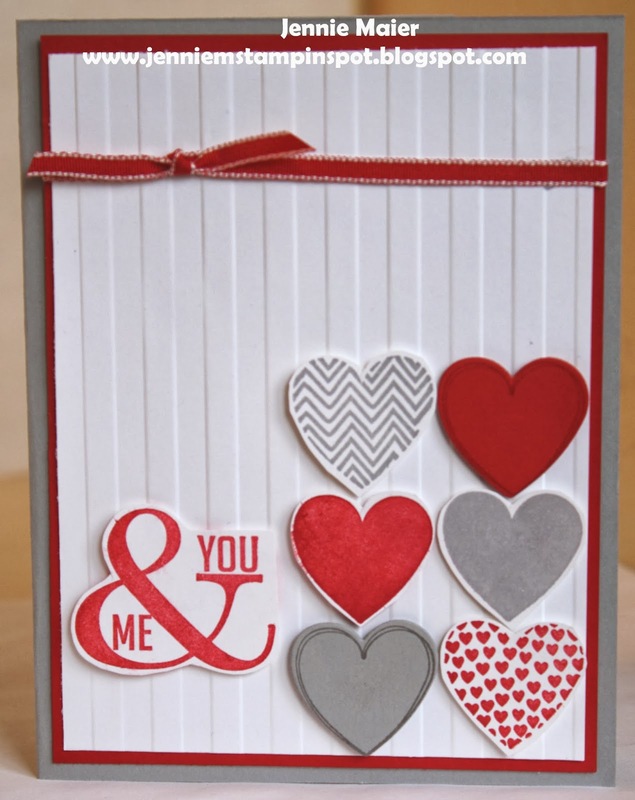 This Valentine's card was made using two challenges. 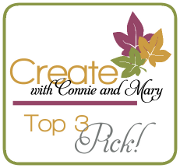 First, the Create with Connie & Mary Sketch#289 here, and second, the FabFri34 here. 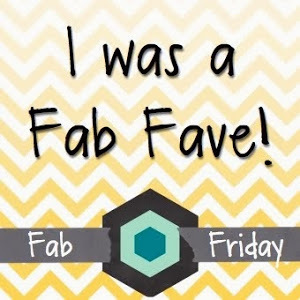 The Fab Friday is a color challenge to use the colors Crumb Cake, Coastal Cabana and Real Red-perfect for the Fresh Prints DSP Stack! 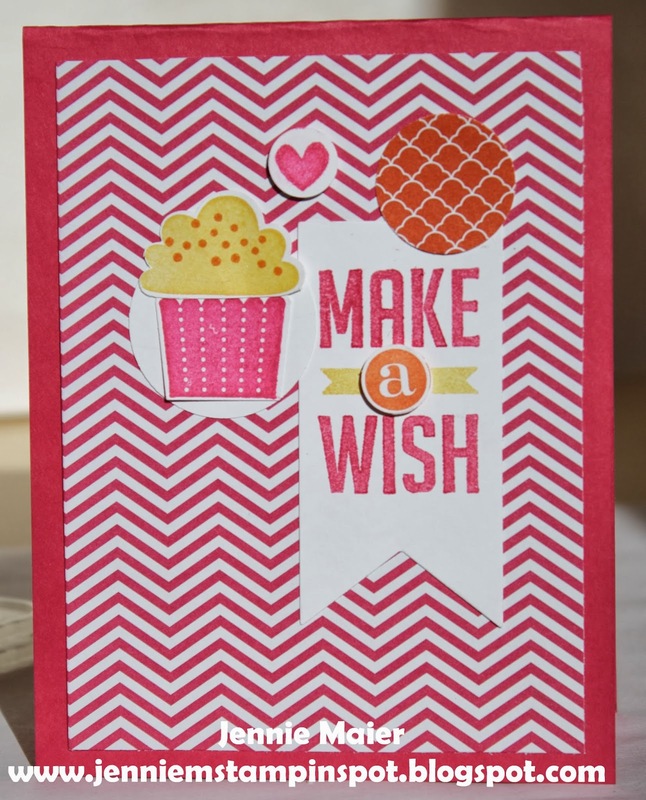 I used the Delightful Dozen, Hearts a Flutter and Banner Blast stamp sets. 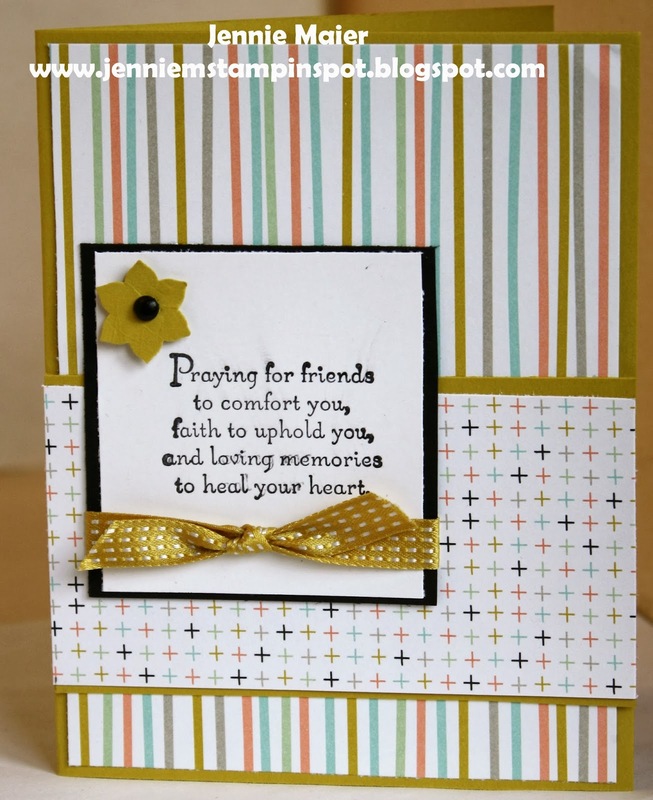 I used the Freshly Made Sketch#122 here for this sympathy card. I don't like to have to make these but hopefully they help in the grieving process! 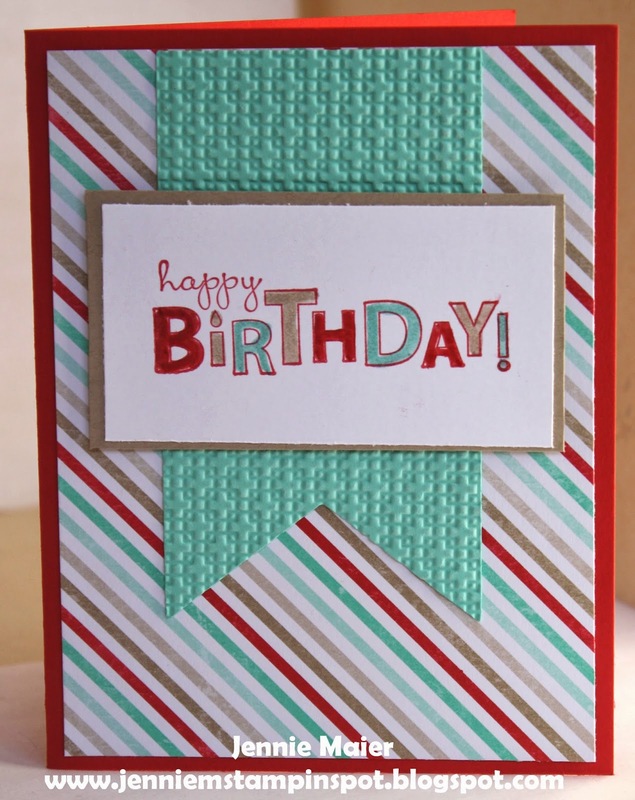 I need lots of birthday cards for the month of February so I used the Clean and Simple Stamping FTL#278 here. 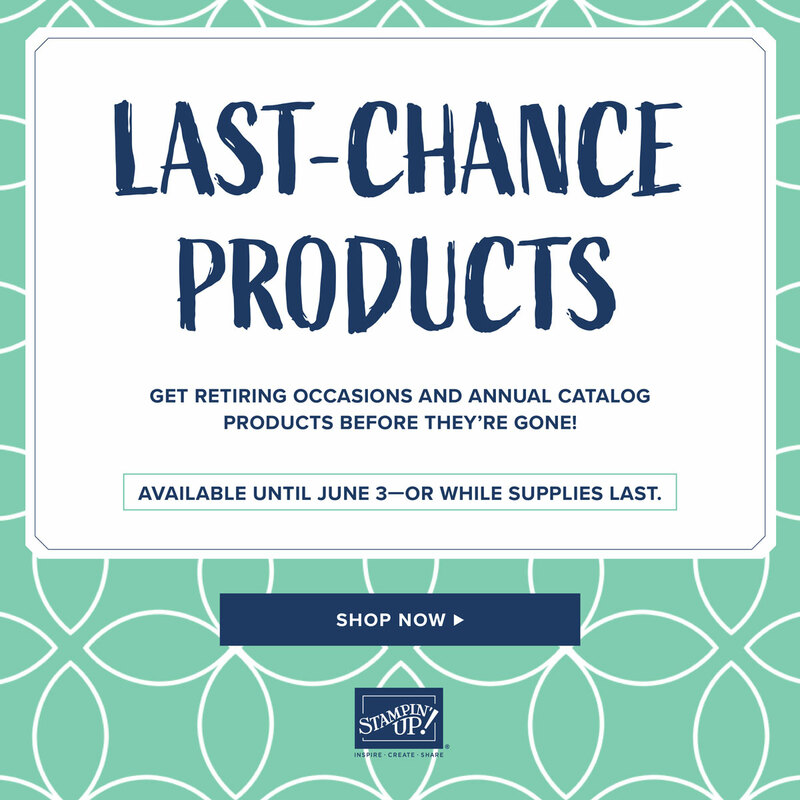 The stamp sets are Perfect Pennants and Create a Cupcake. Also used some Brights DSP Stack. Here's a get well card for my aunt who just had surgery. 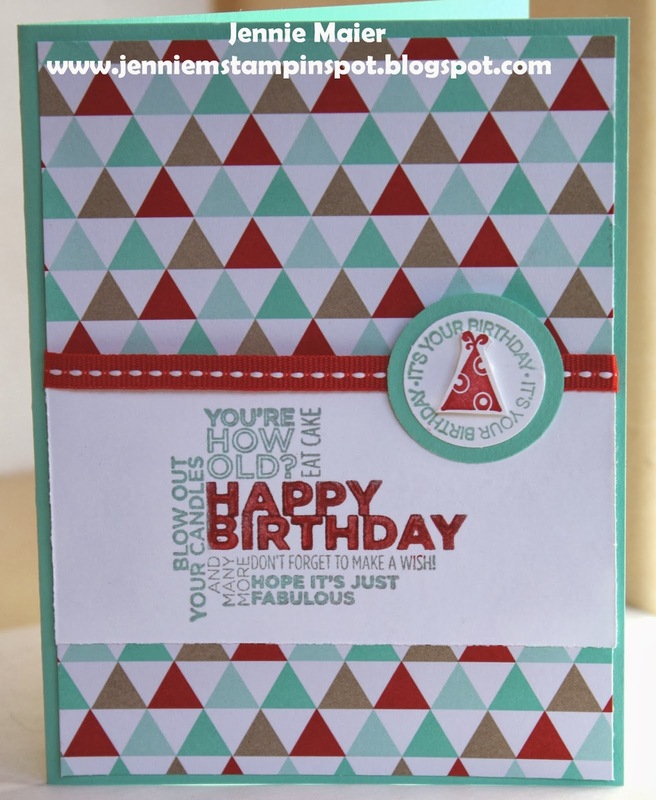 Since I had the Sweet Sorbet DSP out, I used that again with the Perfect Pennants stamp set. 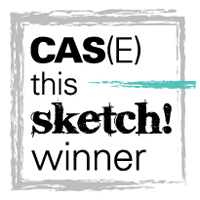 I also used the PPA Sketch#189 here. A new month and a lot going on! I haven't posted lately because of some major life events. Our family friend, Greg, passed away last week after a courageous battle with cancer. He only lived a way too short 15 years but they were filled with sassiness and fun and he'll be dearly missed! And on a personal note, I've taken on a new part time job. While I'll be working at home, I hope to be able to post more regularly. We'll see!?! 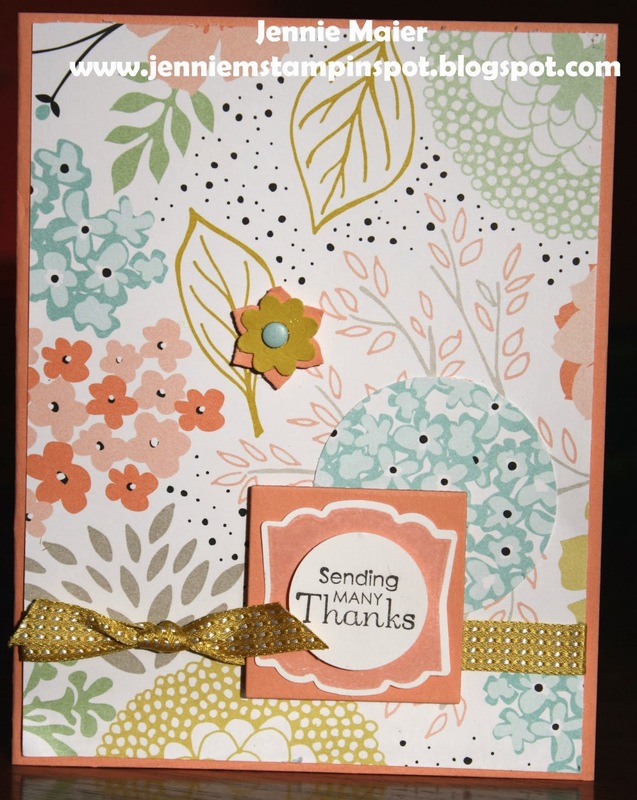 For this thank you I used the SAB DSP, Sweet Sorbet and the Petite Pairs and Label Love stamp sets. I also used the Freshly Made Sketch#121 here.